We bought two cars at Mazda DePalma. We are generally very happy with their services especially with Zachary who assisted us in buying my two cars. He was very professional, knowledgeable and he made me feel very comfortable. He answered all my questions and offered many options regarding my vehicle. 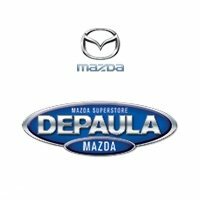 I recommend Zachary to all who want to purchase a car at Mazda DePalma in Albany. Helpful, professional. Great service compared to Della Mazda. Della Mazda is a nightmare. I would consider DePaula for service and a trade in contender. I love Mazdas products. Very reliable. Great experience with them and the Sevice Director Dennis Walters Sandie VanDusen and I brought Mazda in for service .Dennis was most professional, we are looking forward to our next purchase there. I have been in the auto biz for over 25 years ! They took great care in their service!! !